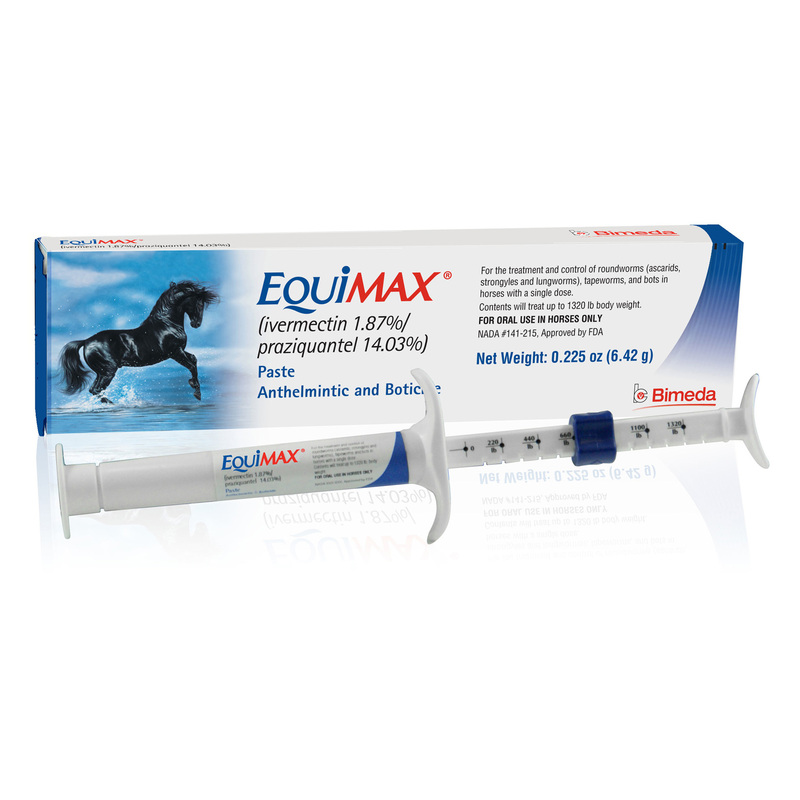 Equimax® (ivermectin/praziquantel) Paste removes worms and bots with a single dose. Small Strongyles (adults, including those resistant to some benzimidazole class compounds) (Cyathostomum spp., Cylicocyclus spp., Cylicostephanus spp., Cylicodontophorus spp. Click here to see full directions. Water, Sodium Laureth Sulfate, Cocamidopropyl Betaine, PVP-Iodine, Cocamide MEA, Sodium Chloride, Aloe Barbadensis Leaf Juice, PEG-75 Lanolin, Phenoxyethanol, Methylparaben, Ethylparaben, Butylparaben, Isobutylparaben.